The Waggoners Grey Buzzer was created for use just after the Mayfly season when grey buzzers appear on the water. It has proved to be successful throughout Southern England. Body : A good web of light grey heron herls. Rib : A black dyed hackle stripped of its fibres to leave the bare quill. Thorax : Light grey rabbit fur. Head : A single strand of natural peacock. 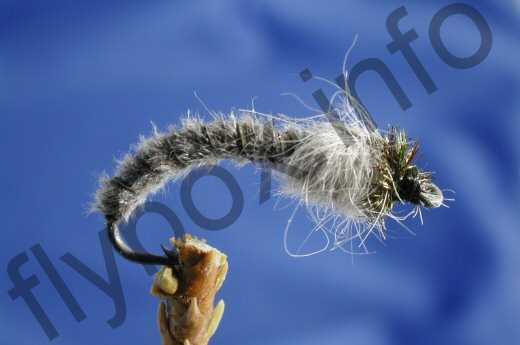 Currently there are no comments about the Waggoners Grey Buzzer fly pattern from other fly fishermen yet.